The Regional Enterprise Plan for the Midlands identifies seven Strategic Objectives that build on the region’s strengths and address vulnerabilities that range from leveraging big data opportunities through the iLOFAR telescope at Birr, to ensuring that the Midlands is well positioned to address the challenges and new business opportunities presented by decarbonisation of the economy. The Minister added: “It is clear that there are new challenges emerging for enterprises in the external environment, and here in the Midlands, the regional economy will undergo some adjustment as it makes the transition to a low carbon reality. Through this Regional Enterprise Plan, the region can adopt a leadership position through driving initiatives from the ground-up. “As part of Project Ireland 2040, the Government has introduced a range of new funding streams such as the €1billion Rural Regeneration Fund, the €2bn Urban Development Fund, the €500m Climate Action Fund and the €500m Disruptive Technologies Fund. These are in addition to other existing schemes such as my Department’s Regional Enterprise Development Fund and the Town and Village Renewal Scheme. Strengthening our regional enterprises is particularly important in the context of Brexit. “Over the coming weeks, my Department will continue to highlight the key issues that businesses need to be aware of in the run up to Brexit, and the Government supports that are available to them to mitigate its impacts”, the Minister said. The new plans complement and add value to the ongoing work of the Enterprise Agencies, LEOs, Regional Skills Fora, and other bodies involved in supporting enterprise development in the regional setting. The development of the Plans was overseen by the Department of Business, Enterprise and Innovation, working with regional stakeholders. 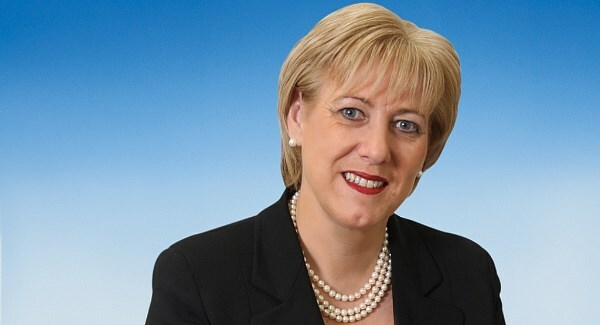 Minister Humphreys will launch all nine regional plans over the coming weeks. Dr. Anne Cusack, Chair, Midlands Regional Enterprise Plan said that the launch of the Midlands Regional Enterprise Plan to 2020 is the culmination of public and private sector stakeholders coming together to ensure the Midland Region is supported, funded and championed in its need to build resilience, innovation and employment in these challenging times. Portlaoise has been allocated over €1m under the Urban Development Fund as part of an exciting pilot project to become Ireland’s first Low Carbon Town Centre.